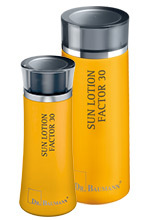 Compatible sun protection with skin-protective vitamin E, high quality synthetic light protection filter with excellent transparency on the skin. For a particularly gentle but intensive, long-lasting tan. Valuable natural oils intensively nourish the skin.